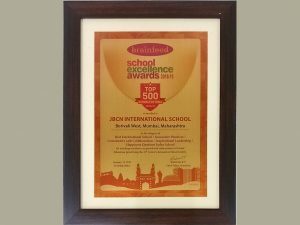 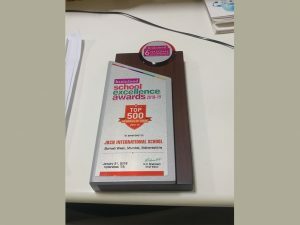 We are super proud to share that JBCN International School, Borivali has been awarded with the Brainfeed School Excellence awards 2018-19 in the category of Best International School, Innovative Practices, Community and collaboration, Inspirational leadership and Happiness Quotient Index school. 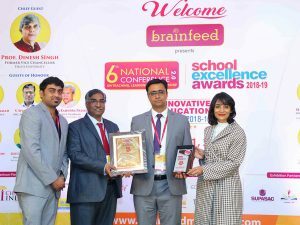 We were unanimously selected under a certain prescribed criteria for transforming education and young minds through a noteworthy spectrum of initiatives and efforts. The school was felicitated at the 6th National Conference organized by Brainfeed at Hotel Avasa, Hyderabad. 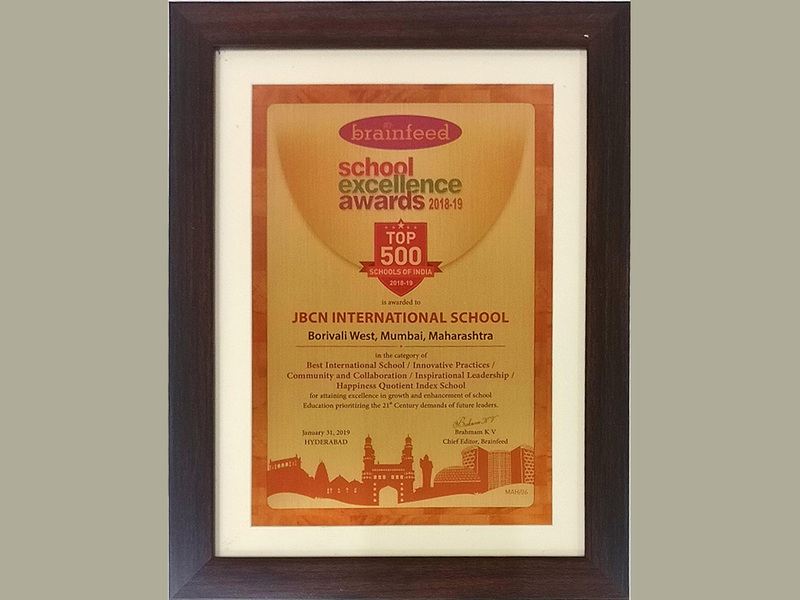 Mr Soumyabrata Mukherjee- Our Deputy Principal (Secondary & Higher Secondary) collected the award on the school’s behalf. We take this opportunity to congratulate our parent and learner body along with our staff on securing this award.